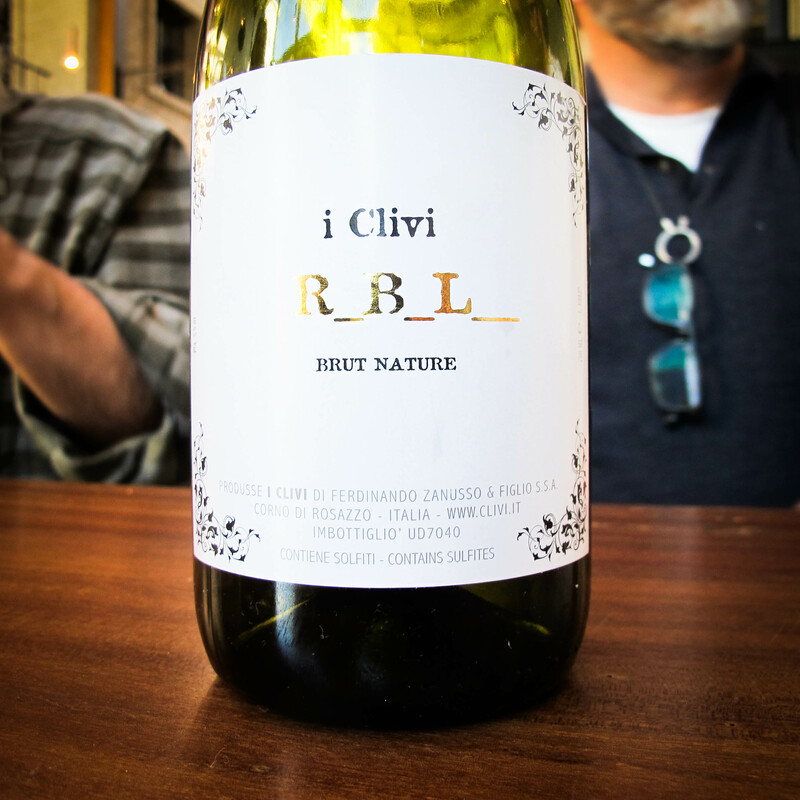 Sparkling Ribolla Gialla from I Clivi: lightening-like acidity! “Un colpo di fulmine” translates to “a bolt of lightening”. That’s exactly what the electrifying white wines of I Clivi bring to mind. I had the great fortune to meet up with Mario Zanusso, proprietor of I Clivi, yesterday at Républiquein Los Angeles. What a beautiful backdrop for tasting these gorgeous wines! The wines are magic. Natural in the most common-sense kind of way. Why would you mess around with chemicals and wood when you live in the perfect place to grow indigenous grapes like Ribolla, Friulano and Verduzzo? Nature gives them everything they need to create inspiring and balanced wines without really any technology. No filtering, no barrels, no added yeasts or enzymes. What do they put in the bottles? Pure grape juice, spilling over with terroir. I Clivi’s vineyards are situated on the water-facing slopes of the first range of hills rising from the south across the D.O.C. “Collio” and the D.O.C. “Colli Orientali del Friuli” districts, on the northeastern rim of the Adriatic Sea. Friuli at its finest! The vineyards cover only 12 hectares. Soil composition is a mixture of limestone, clay and sandstone. A small piece of grape-growing heaven. 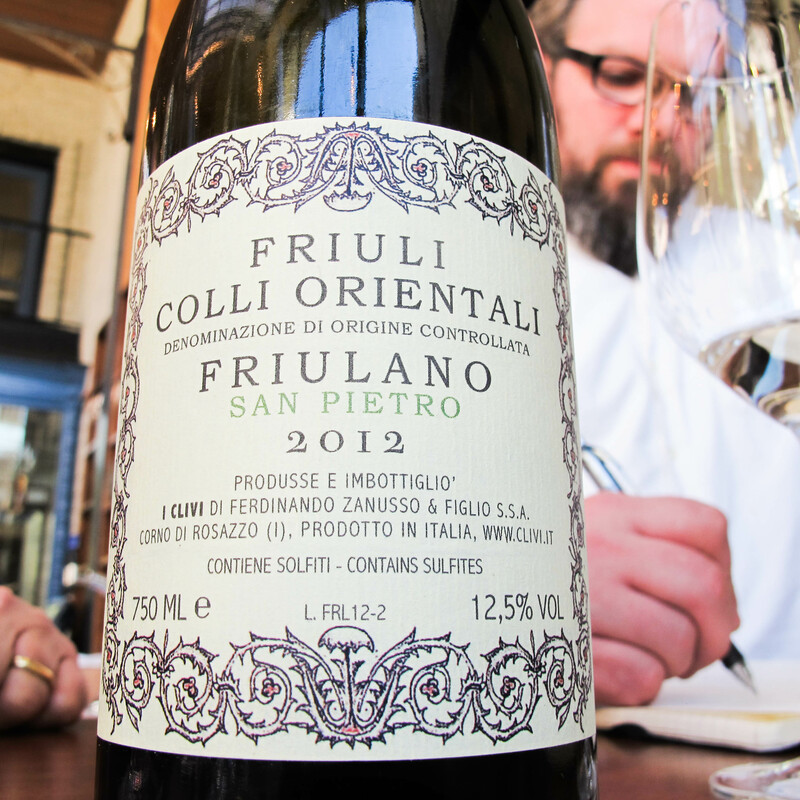 The Friulano from the “San Pietro area is appropriately named. Although San Pietro could be translated to “St. Peter”, it also recalls that “Pietro” comes from “pietra” or “stone”. Stony is definitely an appropriate descriptor for this crispy, mineral white wine. The finish goes on forever, punctuated by acidity that jumps around in your mouth- begging for some prosciutto or a bit of cheese. Verduzzo, another rare and unknown grape, makes a wildly aromatic appearance here. If you see this wine, buy it. An example of Friuli’s wild side- herbaceous and showy on the nose with a spinal cord of of pure minerality running up the back. 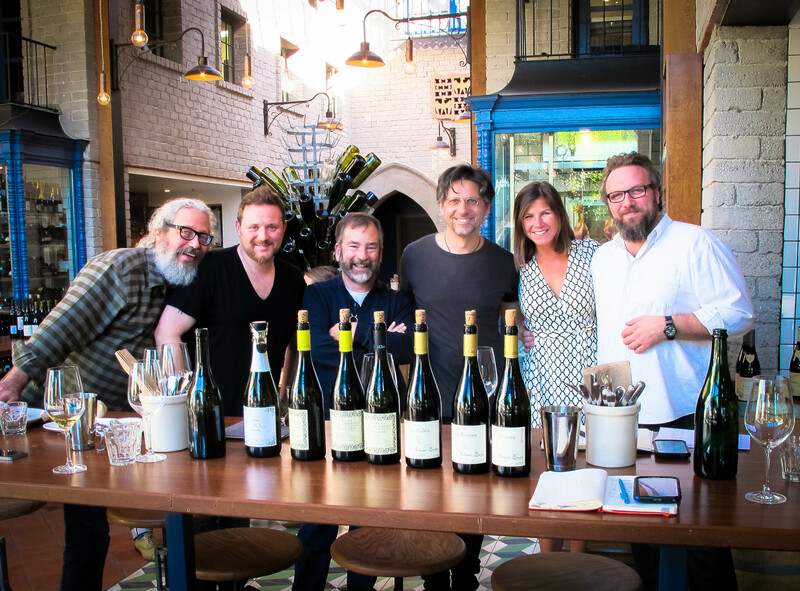 These are wines that inspire conversations around tradition, local foods and recipes, terroir, geography and soil composition. This place must be so special, so unique, so singular. You can taste it! How else do you find this kind of layered elegance and impressive acidity into a bottle of wine? The answer is always: the land, and its people. 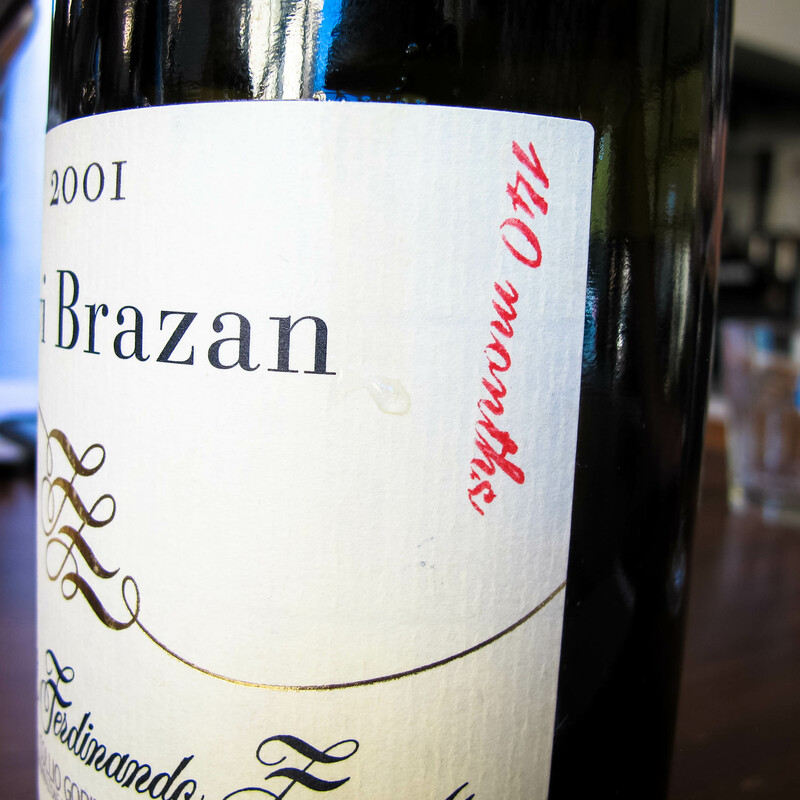 My clear favorite in the lineup was a special bottling of Friulano from the Brazan vineyards. The grapes were harvested in 2001, and the wine has spent almost the last 12 years sitting under its own lees, waiting patiently for this moment to shine. Complex and beguiling. This wine is an unsuspectingly beautiful woman, kind of like the Mona Lisa. You can’t stop staring at her face, wondering what is it exactly that continues to captivate. You can’t keep your nose out of the glass. Mineral, preserved lemons, wet grass, forest floor: a rush of aromatic sensations that end with a sigh of pure pleasure when you actually taste. SPQR: How do I love thee? Let me count the Wines. What a great lineup, Joanie. 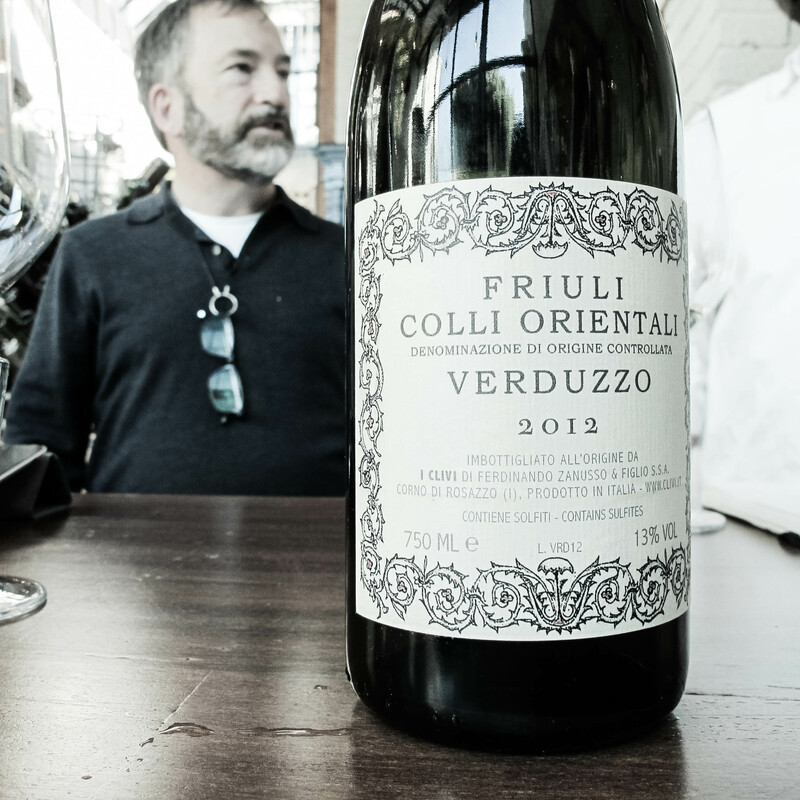 I will definitely keep my eye out for I Clivi’s wines — especially the Verduzzo…I love Verduzzo. And sparkling Ribolla Gialla?! Sounds very interesting. Thanks for the comment Geoff! These wines were a revelation for me. I tasted them first at Terroni a few months ago and loved them, but getting to taste them with Mario was really special. I take it A.I. doesn’t import these? Are these O. McCrum’s wines? Ciao Joanie, tasted through the wines with Mario over lunch at Donato…impressive to say the least. Very mineral. I bought for our restaurants and myself. Ciao Eric! It’s been too long! 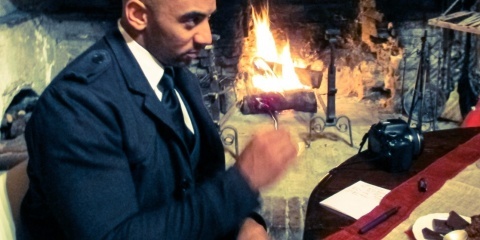 Thanks for reading, and I am so glad you liked the wines as much as I did. I thought Mario was fantastic, and the wines really spoke to me. Hope to catch up with you in person soon!